When it comes to enjoying online freedom by internet users all around the world, Middle East is one of the regions that has always been under closer examination. With the immense advancement of the internet and its ability to connect different people from different parts of the world, it gives rise to religious issues very easily, a matter that carries more tension than anything else. Throughout the Middle East, the usage of internet has seen several changes over the years. When it comes to the internet in Egypt, it has been reported by the Freedom House, a U.S. based NGO that researches on human rights, political freedom and democracy, that the internet in Egypt is only partly-free. Several Internet Service Providers (ISPs) of Egypt block pornographic contents on the web by offering optional filters. The internet services offered by these providers carry content controls that enable internet users to eliminate all the indecent or inappropriate content on the internet that might affect children. And when it comes to blogosphere in Egypt, the government started restraining internet users and bloggers, as the blogosphere continued to grow. This was due to certain incidents that lead to the sentencing of different bloggers for their defending blog posts about the country’s political aspects, religious hatred, etc. In the year 2011, an increasing number of websites and web services were blocked in Egypt. This blockade did not leave out the two most famous social networking giants Facebook and Twitter as well. In addition, the country also encountered internet outages several number of times. The government authorities of Egypt also made sure that they had control over the information that were sent and received across the country, and also those that were transferred to users in different countries over the internet. Due to the constant blackout of the internet in the country, middle class Egyptians were the ones to be most affected, as they were unable to access the internet in their homes. However, in the same year, it was reported by the BBC that Facebook and Twitter was unblocked in Egypt. Though people may be able to access these websites now, they never know how the country’s internet censorship practices might turn around once again. 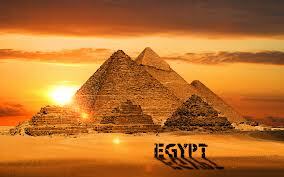 Hence, it is safer for those in the Egypt to access the internet with the help of an Egypt VPN. As mentioned earlier, you never know when the government of Egypt would start blocking access more international websites. Therefore, it is always better for an Egyptian internet user to start using an Egypt VPN. With a VPN connection, the user will not only be able to obtain complete online security, anonymity, and privacy from snoopers and other cybercriminals, but also will be able to enjoy the internet freely and openly without having to face any type of internet censorship imposed by the Egyptian government as well as by the governments of other countries. This can be made possible by obtaining an IP address from a country that is liberal when it comes to the usage of internet. For obtaining this IP address, the user must make sure that the Egypt VPN provider he or she chooses contains one or more servers located in that particular country. This enables them to obtain ultimate online freedom.